Cliques gives you the ability to make budget, run date and adjustments in real-time via the Cliques Console. 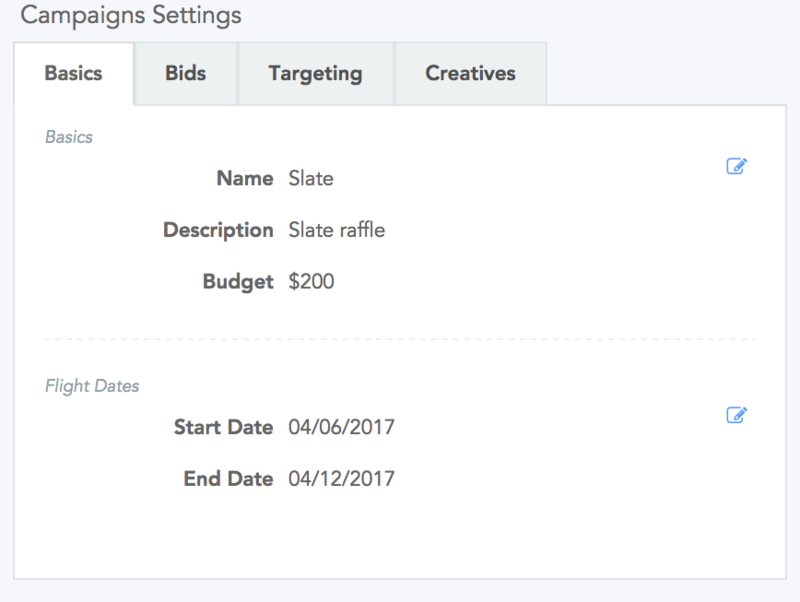 Additionally, you can swap out or add supplemental creatives at any time, even while the campaign is up and running. This can be a great and fast way to A/B test creatives against one another in the same campaign in real-time. You can make all of these changes from within in the Cliques Console by clicking on the campaign you'd like to modify and then navigating the four tabs in the Campaign Settings window. If you want to pause your campaign, maybe to make some updates to creatives for example, please contact our team at Support@CliquesAds.com and we'd be glad to help you out.